Former FBI Director James Comey lashed out at unnamed “weasels and liars” on social media late Thursday, hours before President Trump was expected to declassify a controversial memo about purported surveillance abuses over the objections of Democrats. “All should appreciate the FBI speaking up. I wish more of our leaders would,” Comey wrote on Twitter. “But take heart: American history shows that, in the long run, weasels and liars never hold the field, so long as good people stand up. “Not a lot of schools or streets named for Joe McCarthy,” Comey added, a reference to the Wisconsin senator who claimed high-ranking government officials were Soviet spies in the 1950s. Sources told Fox News Thursday that the version of the memo Trump plans to declassify contains “technical edits” made at the FBI’s request. The sources said the edited version was shown to five FBI officials at the White House on Tuesday afternoon and the officials were satisfied that the edits addressed concerns they had about an earlier version of the memo that was reviewed on Monday. The memo purportedly is critical of the FBI’s use of surveillance during the 2016 presidential campaign, particularly in the initial stages of its investigation into alleged collusion between Russia and Trump’s campaign. Special counsel Robert Mueller is investigating whether the Trump campaign improperly coordinated with Russia and whether Trump sought to obstruct the inquiry by, among other actions, firing Comey. The Associated Press reported Thursday that Trump has told confidants in recent days that he believes the document will validate his concerns that the FBI and Justice Department conspired against him and bolsters his claim that the collusion accusations are false and part of a conspiracy to discredit his election. Comey has not been shy about using Twitter to comment on the ongoing Russia investigation. In December, he posted a Bible verse after news broke that former national security adviser Michael Flynn would plead guilty to lying to the FBI and would cooperate with the Mueller probe. “But justice roll down like waters and righteousness like an ever-flowing stream,” Comey tweeted, quoting the prophet Amos. 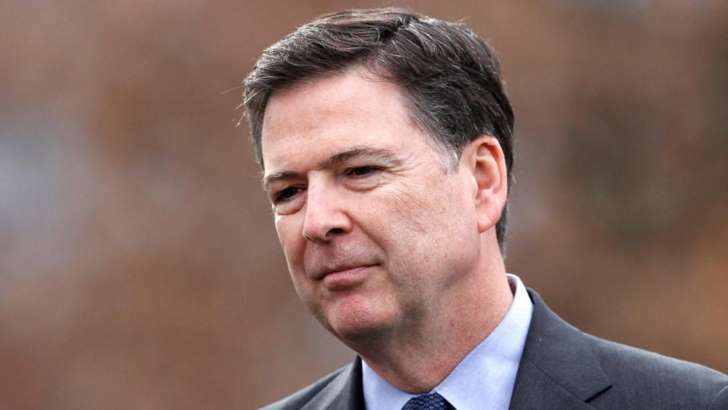 On Monday, Comey defended recently removed FBI Deputy Director Andrew McCabe, saying he “stood tall … when small people were trying to tear down an institution we all depend on. Fox News’ John Roberts, Catherine Herridge and The Associated Press contributed to this report.